So porcelain is the new “healthy glow” – we don’t want to bathe in the sun and lay in the tanning beds anymore.. (well, maybe we do but we KNOW we shouldn’t). So with summer beginning TODAY (Happy First Day of Summer 2012), it is time to tan your face the healthy way – with makeup! Light coverage: Take a deeper liquid foundation and mix it with a light moisturizer (with SPF included) for a beautiful TINTED MOISTURIZER. (the moisturizer corrects a color too dark for your skintone) 1 drop of foundation with 1 drop of moisturizer, blend it together and you have a beautiful LIGHT tinted moisturizer. ~ You can also try a product like Advanced Mineral Makeup which is a ‘liquid’ mineral makeup. (Light coverage and great natural SPF with the zinc & titanium dioxide already in the makeup). 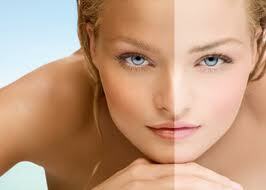 Med coverage: Take a tinted moisturizer and mix in the next shade up or a darker liquid foundation together. This will give you amore coverage and an airbrushed look. Full coverage: Creme foundation is always a heavier coverage, but I love using this combination: Cinema Secrets professional cream foundation or MUD creme foundation. Wet a sponge (not soaking wet just slightly damp) and dip into the foundation container then apply. Great coverage, less heavy application. Makes a cream into a beautifully blended thick liquid. Have a Beautiful Summer.. enjoy your healthy glow! And ALWAYS add a Smile! Recipes for a Beautiful Summer..
Sunscreen. Good enough for a Baby, good enough for me! I can’t wear sunscreen with chemicals in them. A few years ago, on our Hawaiian vacation, I broke out in a rash after using my favorite Coppertone Sunscreen (and we finished the bottle) two days before going home. Itching like C R A Z Y! I was MISERABLE! We spent the last day looking for cortisone so I could make it home on the flight without scratching off my skin. 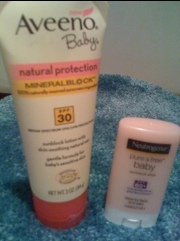 When I finally got home, I decided to go back to the basics = Zinc Oxide & Titanium Dioxide (these are natural sunscreens). From Wiki: When used as an ingredient in sunscreen, zinc oxide sits on the skin’s surface i.e. is not absorbed into the skin, and blocks both UVA (320-400 nm) and UVB (280-320 nm) rays of ultraviolet light. Because zinc oxide (and the other most common physical sunscreen, titanium dioxide) are not absorbed into the skin, they are nonirriating and nonallergenic. 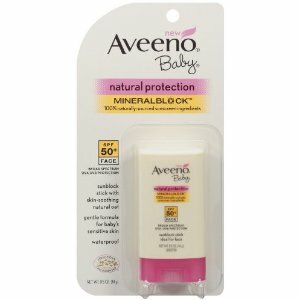 Remember most mineral powders are natural sunscreens with zinc, titanium dioxide and mica as their main ingredients. So layering a coat of mineral powder on your face can help boost SPF protection as well! GO!SCREEN powders come in a convenience refillable brush and convenient for reapplication throughout the day and travelling. Whatever you choose, remember Daily SPF is the best kept secret to slowing down the aging process & the key to beautiful SKIN!